You should arrive on September 7 and depart on September 19. PHOTOGRAPHERS WHO WANT TO TAKE THEIR IMAGES TO THE NEXT LEVEL! 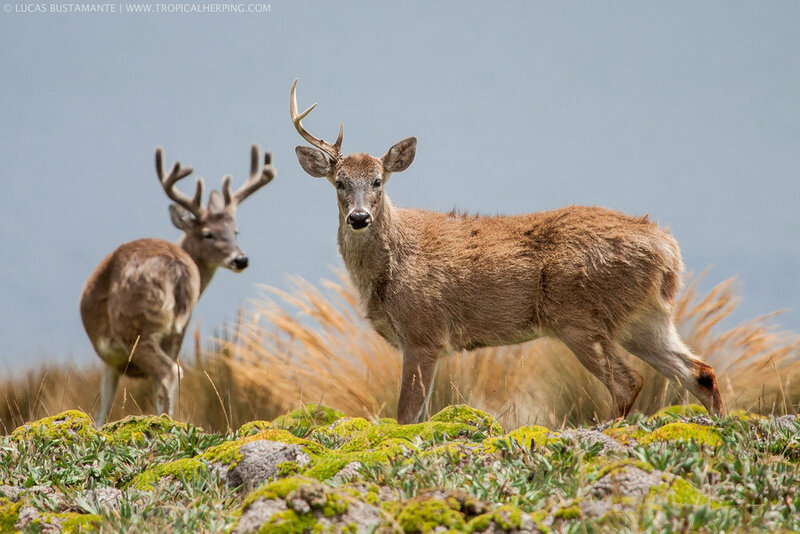 We've designed this trip to visit Ecuador's most amazing places. We'll help you take your photography to the next level while giving your whole photographic kit a workout. 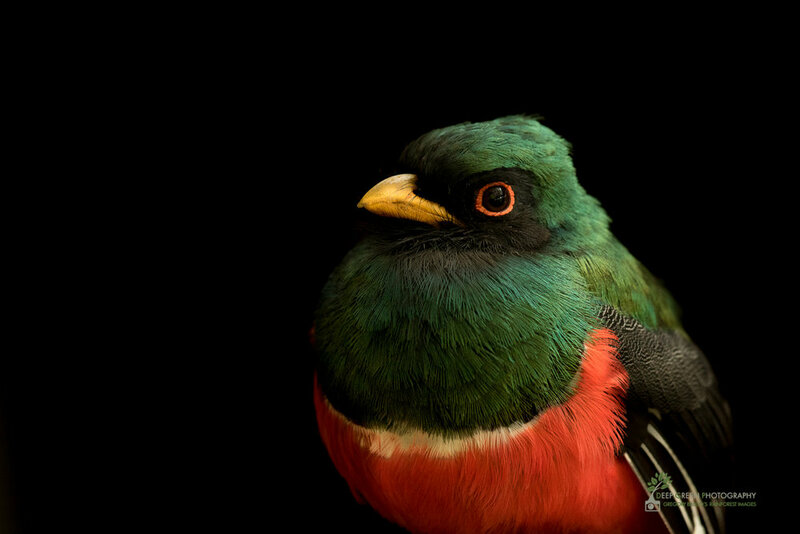 From wildlife to birds to macro to landscapes and people, you will up your skills and take home a stunning and diverse portfolio. 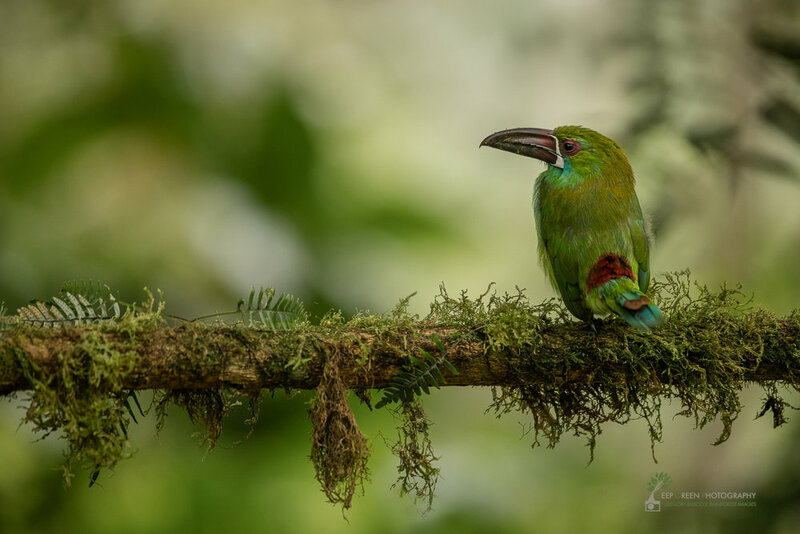 And, unlike other tours to Ecuador, you have 2 professional photographer leaders with you full-time, making this a fantastic value! After breakfast, we depart for the airport to fly to the Amazon city of Coca. 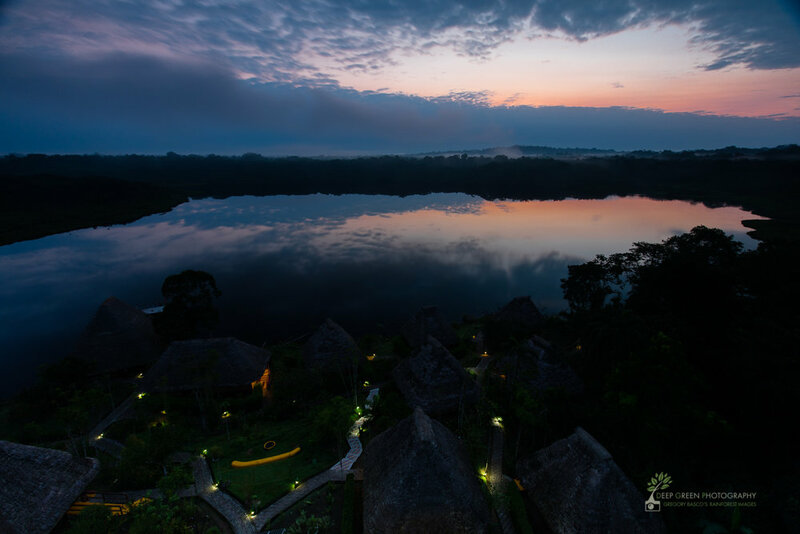 We transfer from there to the boat that takes us to our amazing luxury lodge in the heart of the Ecuadorian Amazon. 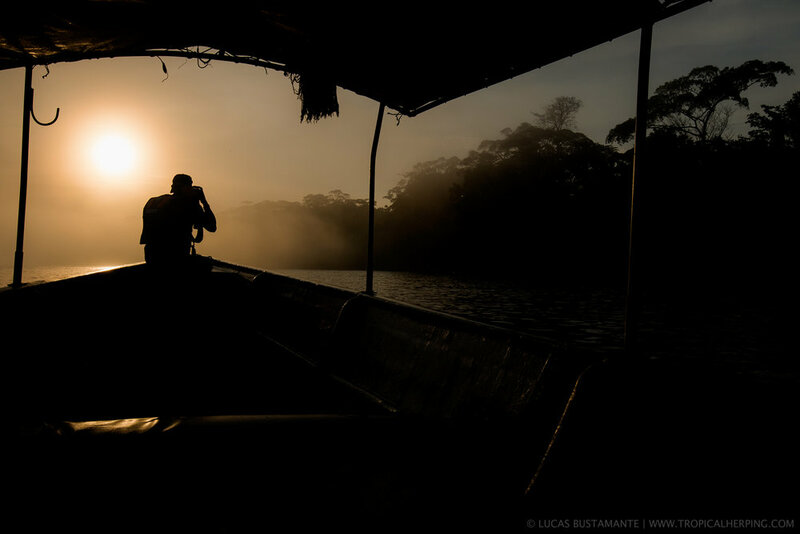 We arrive late afternoon with time to photograph the sunset over the rainforest. 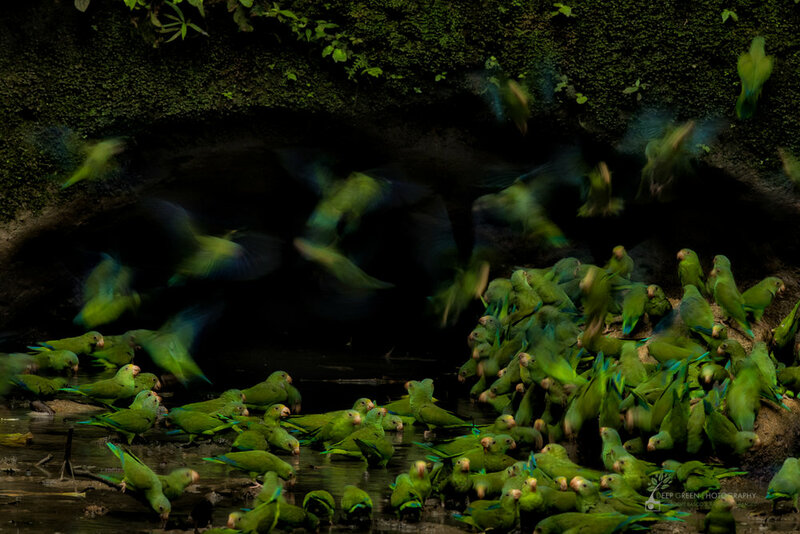 After a great breakfast this morning we head to a nearby clay lick that attracts dozens of parrots and parakeets, as well as the occasional macaw. This is one of our Amazon highlights as the clay licks of the western Amazon are one of the planet's true natural wonders. We photograph all morning and return to our lodge in the afternoon. 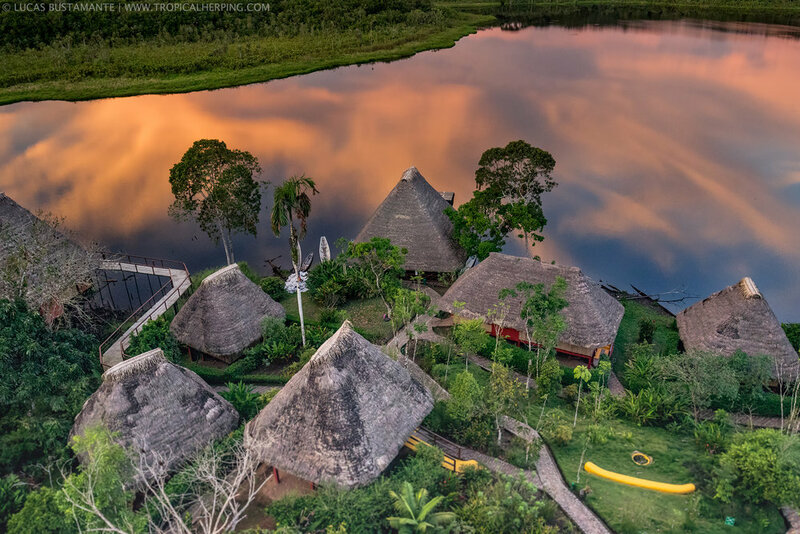 We then gear up and head out on private boats into the nearby lagoons and jungle canals in search of the ancient hoatzin bird, caimans, and giant river otters. We enjoy a fantastic dinner after this busy day. After dinner, we enjoy a presentation from Lucas on macro photography and another from Greg on how to use flash in nature photography. Today after breakfast gear up for macro. 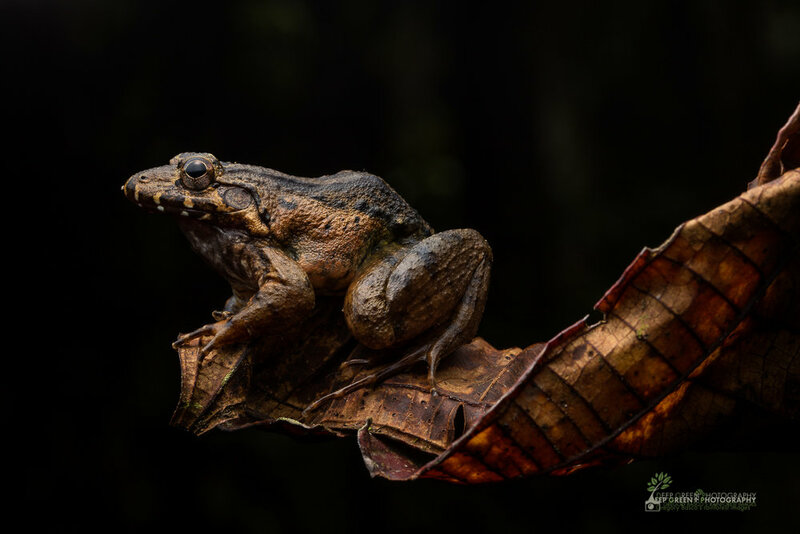 We'll work with macro setups all day, and our subjects will include colorful poison frogs, amazing tree frogs, snakes, and the super cool caiman iguana. 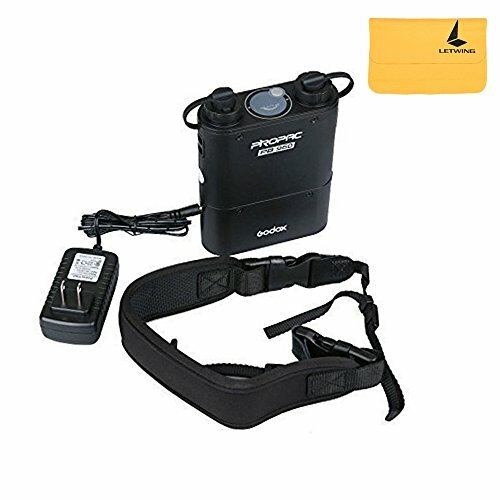 We will teach you our techniques for working with flash for a natural look. We have all meals at the lodge today and are free to explore the grounds for birds and forest photos. 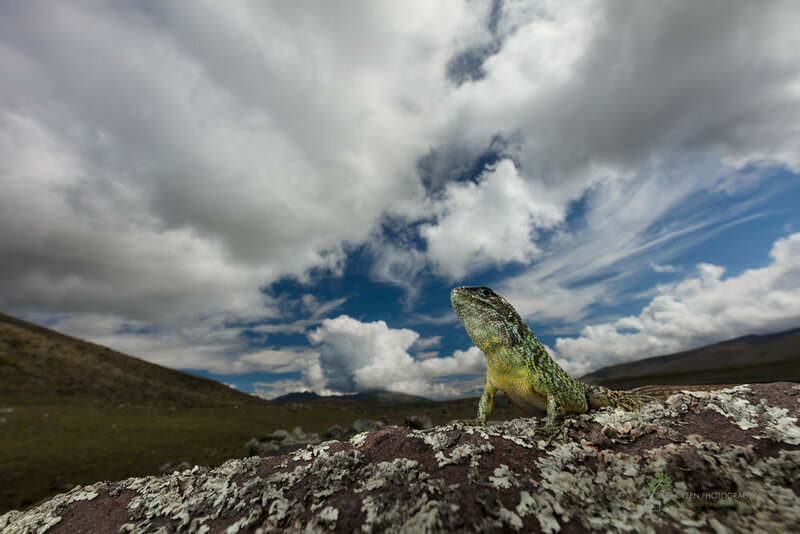 After breakfast, we have a chance to try a really cool technique – wide angle macro photography – that produces amazing images of small subjects in their habitat. Later in the morning we have a second chance at the clay lick. We may encounter some different species, and it's also a great opportunity to try slow shutter speeds or to correct any mistakes you may have made on the first clay lick visit. 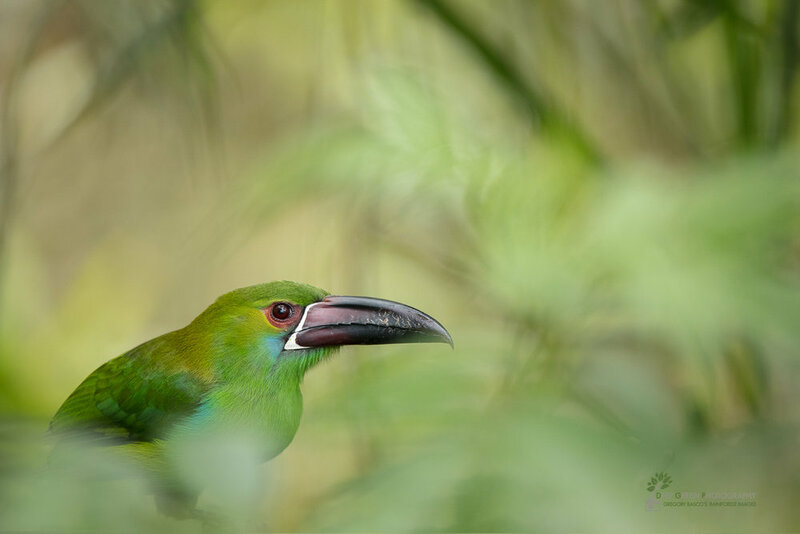 After lunch, we have the afternoon free to relax, to explore the lagoon in a private boat, or to visit a nearby canopy tower for a bird's-eye view of the rainforest. We depart very early this morning for our boat back to Coca and then our plane back to Quito. 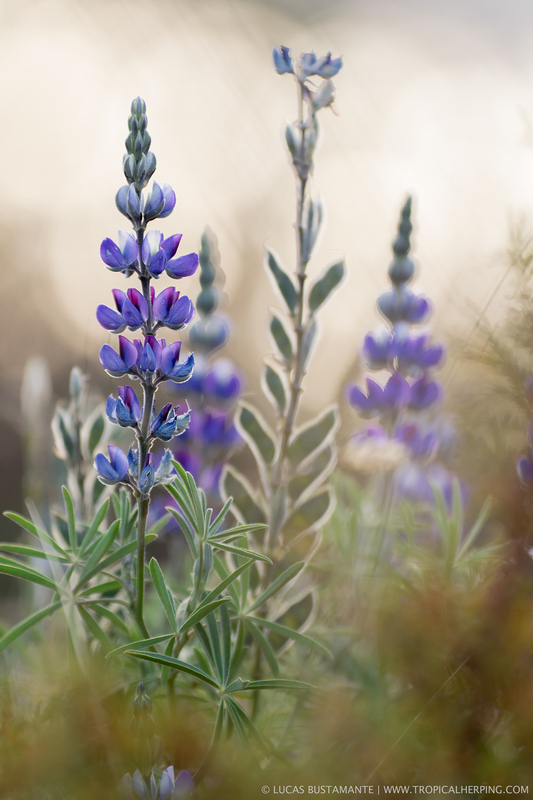 Be sure to have a camera handy as the dawn light can be inspiring! 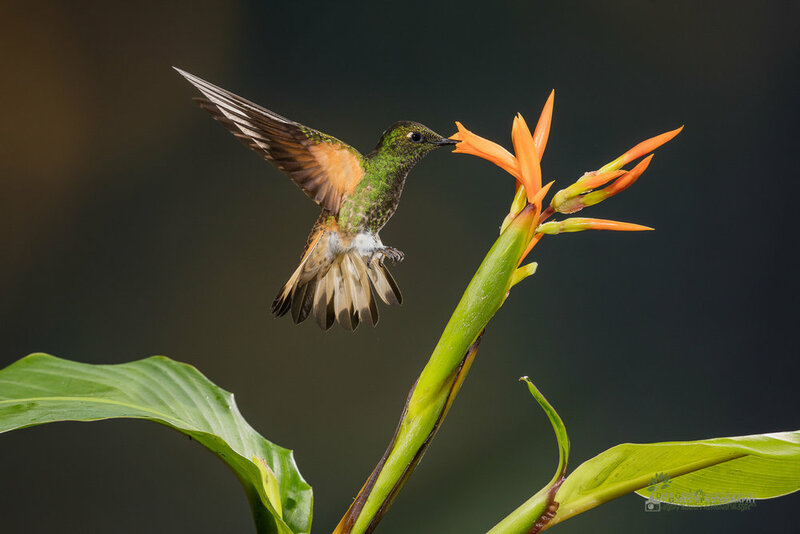 We enjoy lunch at a local restaurant right on the equator and then arrive to our cloud forest lodge in late afternoon with time to relax and photograph hummingbirds right outside the lodge restaurant. 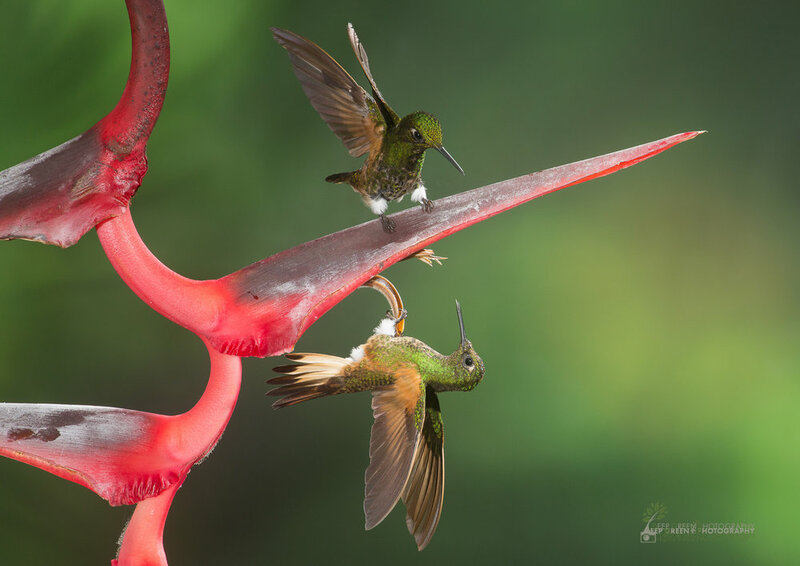 Today we have a full day with the multiple-flash setups for hummingbirds at the lodge. 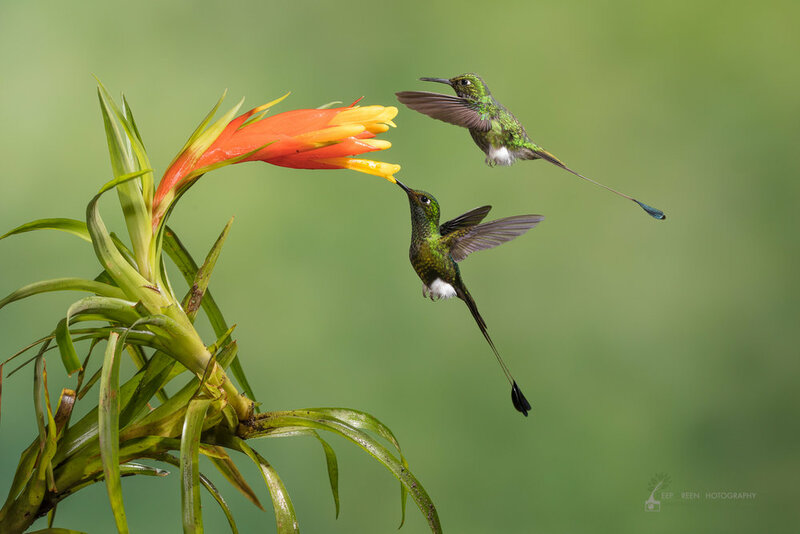 Booted Racket-tail abound, and our highlight is the fantasy-like Violet-tailed Sylph! 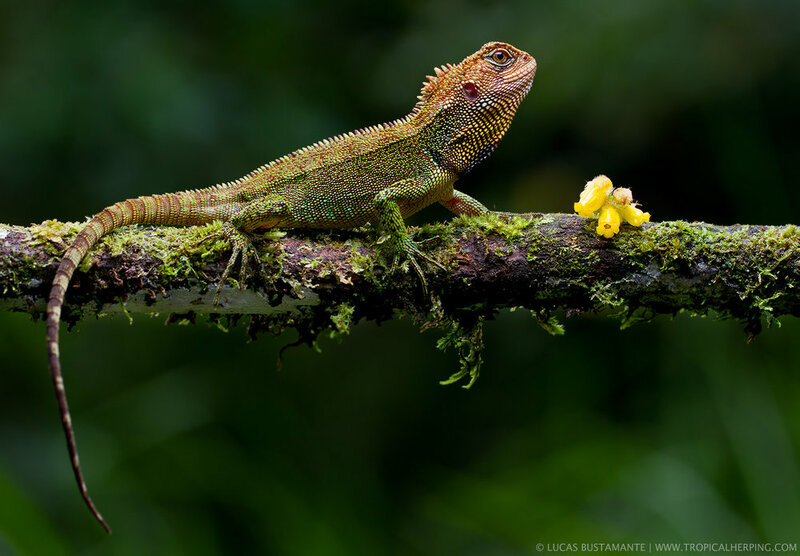 In addition to hummingbird setups, we will be working our herp setups with subjects such as Executioner Clownfrog, Palm Treefrog, and Babbling Torrenteer, Emerald Glassfrog, Dappled Glassfrog, Gem Anole, Equatorial Anole, and the uber-cool Hippie Anole! 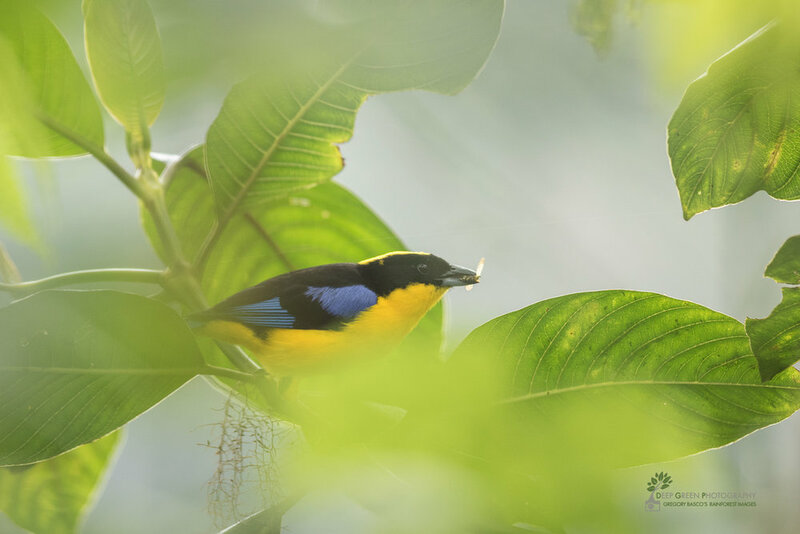 After an early breakfast this morning, we visit a nearby lodge situated in a higher cloud forest. 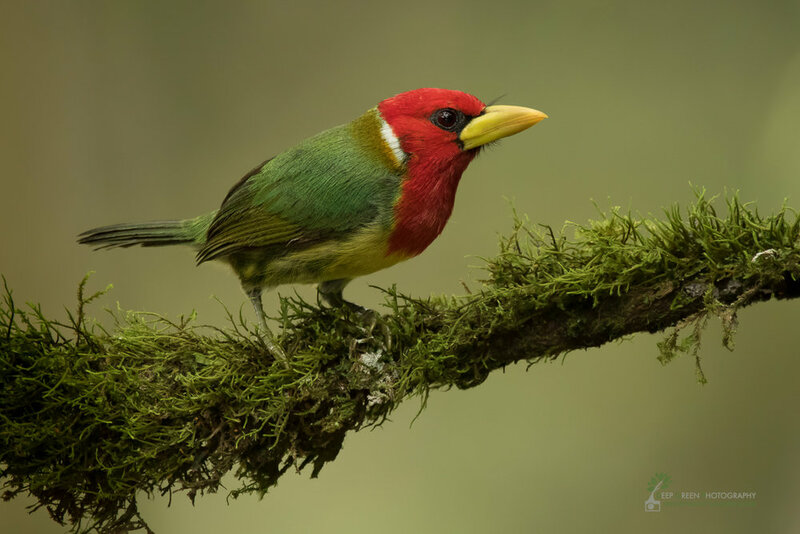 It's a great place to photograph colorful birds such as the Toucan Barbet, the Plate-billed Mountain Toucan, Blue-winged Mountain Tanager, and Masked Trogon. After lunch at our lodge, we check out and head back to Quito, arriving to our capital city hotel mid-afternoon. You have a free afternoon today to relax and edit photos. Dinner is not included this evening as there are a number of great restaurants within very easy walking distance from our hotel, and this gives you a chance to try out a local restaurant, grab some fast food, or order room service if you prefer to stay in. Since we will be visiting higher elevations at our last stop, this will be a good chance to acclimate. But we have some surprises for you tomorrow right in Quito! 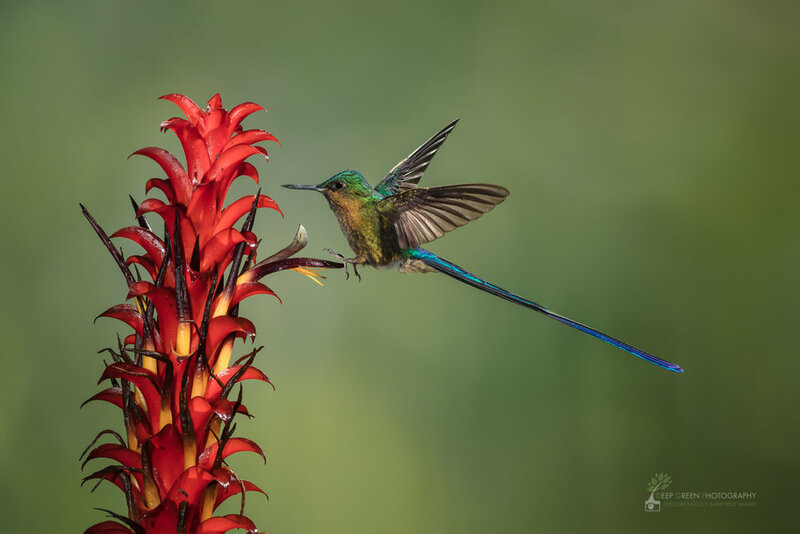 After a buffet breakfast this morning, we visit a nearby botanical garden that offers great portrait opportunities of the Black-tailed Train Bearer hummingbird as well as some fantastic flowers. 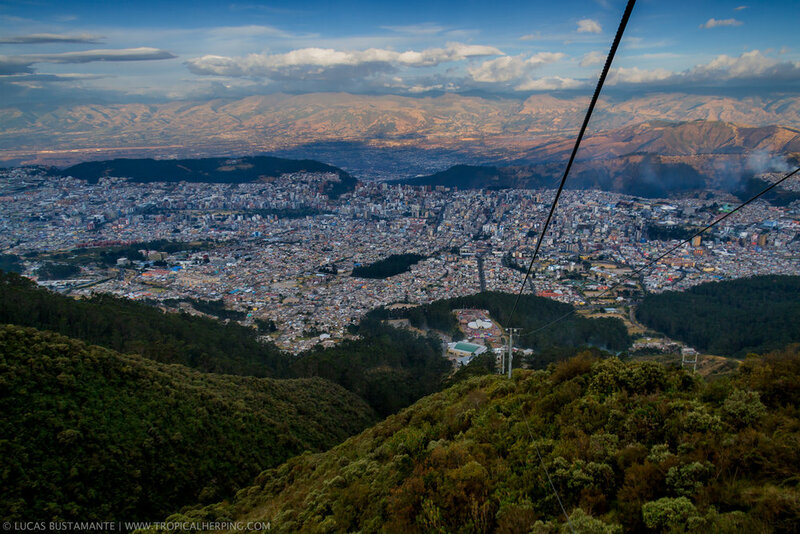 We enjoy lunch at a typical Ecuadorian restaurant nearby and then gear up for another surprise – a glass-enclosed cable car ride to the mountains above Quito. We'll stay at the top until sunset for great photos as the city comes to life and the sun sets! We return to our hotel where dinner again is on your own. This will be a fun and productive photo day! After breakfast, we check out and head to the Cotopaxi National Park. We arrive to our lodge for lunch and then have the afternoon to photograph the Giant Hummingbird (the world's largest!) right on the grounds. 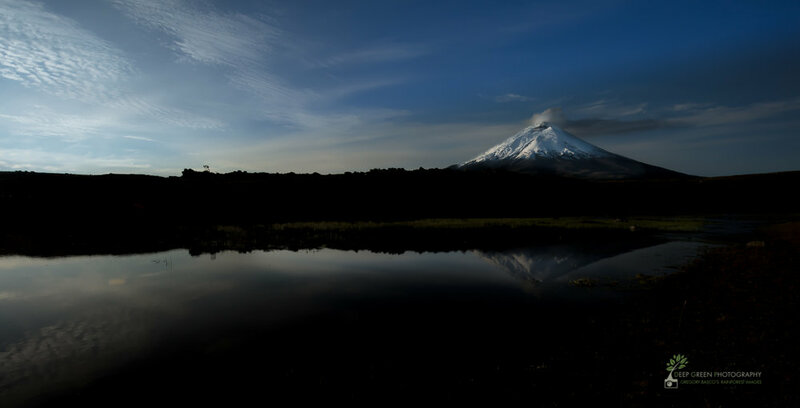 In the evening we head out to photograph the snow-covered peak of the Cotopaxi Volcano with stars. 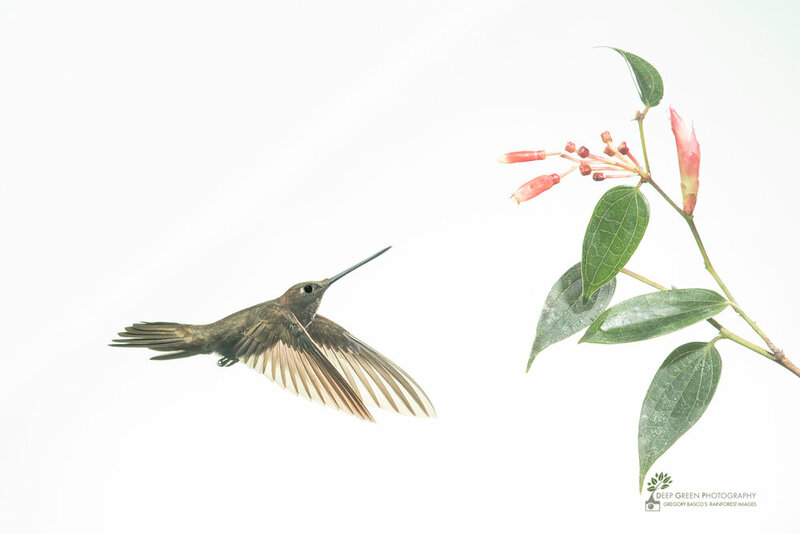 We take the morning for more hummingbird photography. 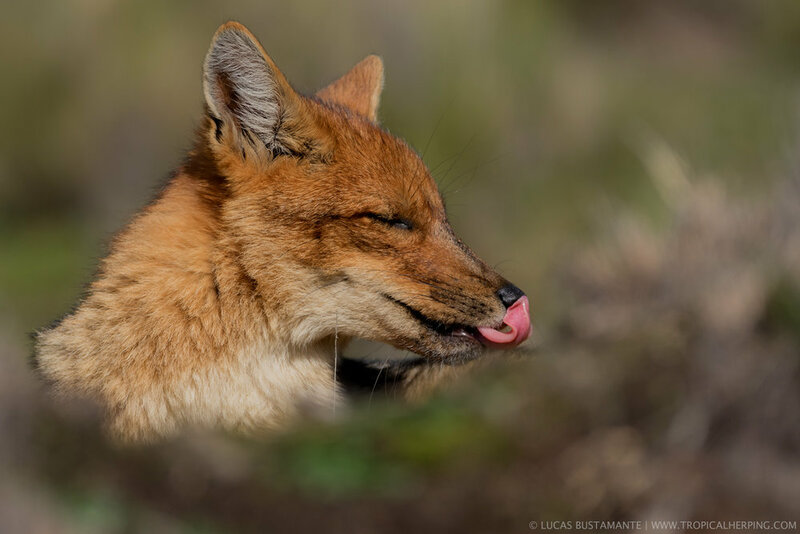 Late morning, we head out into the park in our bus to photograph birds and possibly even the Andean Fox. In late afternoon, we have a special treat. 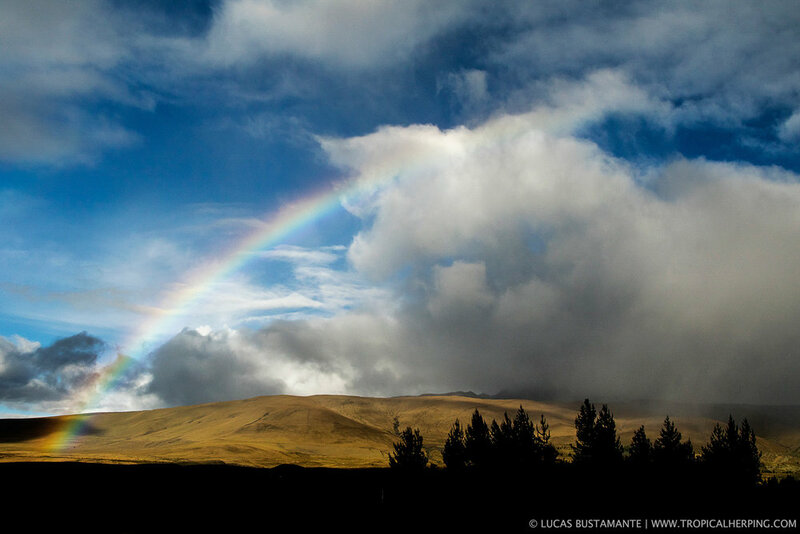 We will photograph the sunset over the Cotopaxi volcano with llamas in the foreground! In the evening we can head out again to photograph the snow-covered peak of the Cotopaxi Volcano with stars. After breakfast we have a chance to do some image captioning right in our lodge's charming sitting area. Late morning, we check out and head back to Quito, stopping for lunch at a local restaurant famous among Ecuadorians for its great local food. We arrive to our capital city hotel with time to check-in and relax before enjoying a farewell dinner at a local restaurant. 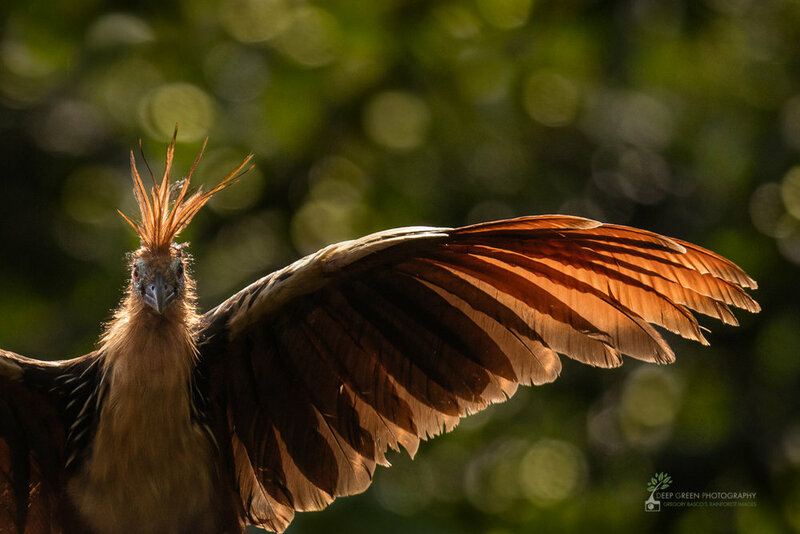 Did you know that the Hoatzin is the last surviving member of a lineage that split from other birds 64 million years ago, shortly after dinosaurs went extinct? 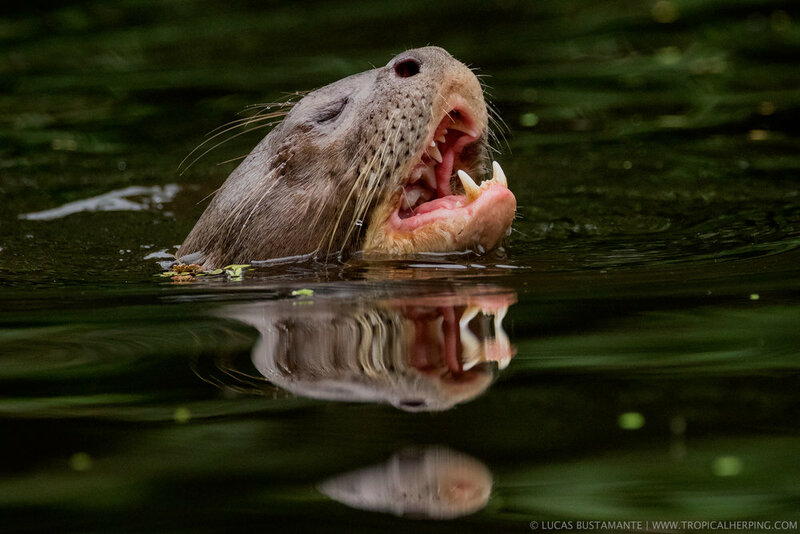 We'll photograph this living relic in the Ecuadorian Amazon! All of our hotels and lodges have electricity and hot water. and even WiFi. They're quite nice! This trip requires only low to moderate fitness. We will be at fairly high elevations during our time in Cotopaxi Volcano National Park but we will have 2 nights in Quito to acclimate! Thanks for choosing to subscribe to the Deep Green Photography newsletter and blog and enjoy this free e-book! You will receive a follow-up e-mail from me soon confirming your subscription. If you don't see an e-mail from me within 5 minutes or so, please check your spam/junk folder. After confirmation, you'll be directed to a link download Top 11 Tips for Eye-catching Nature Photos.